The perfect places to dream of on a cold, wet Sunday. It makes me just want to jump in! The fourth is Fabulous! 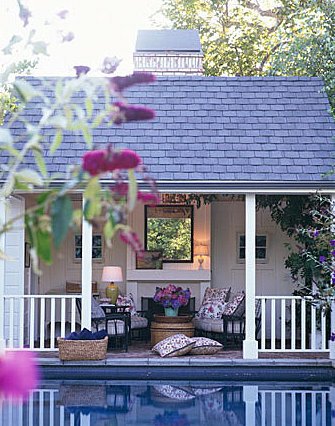 There is just something so wonderful a pool house... I wish I had one! These are lovely. 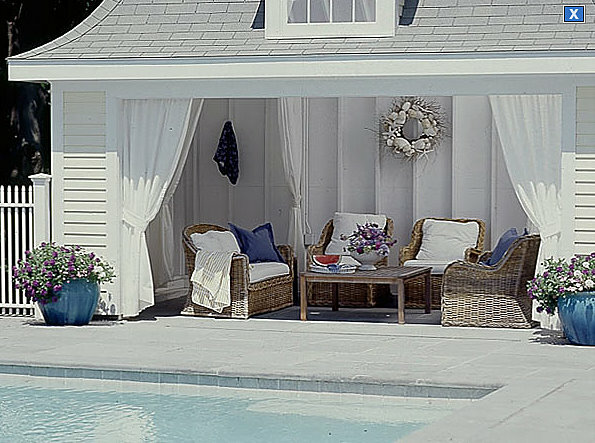 I could use a pool and a little pool house on such a hot summer. Cute photos. The second image with the fireplace and the pool....yes, I could live in that little spot for the entire summer. 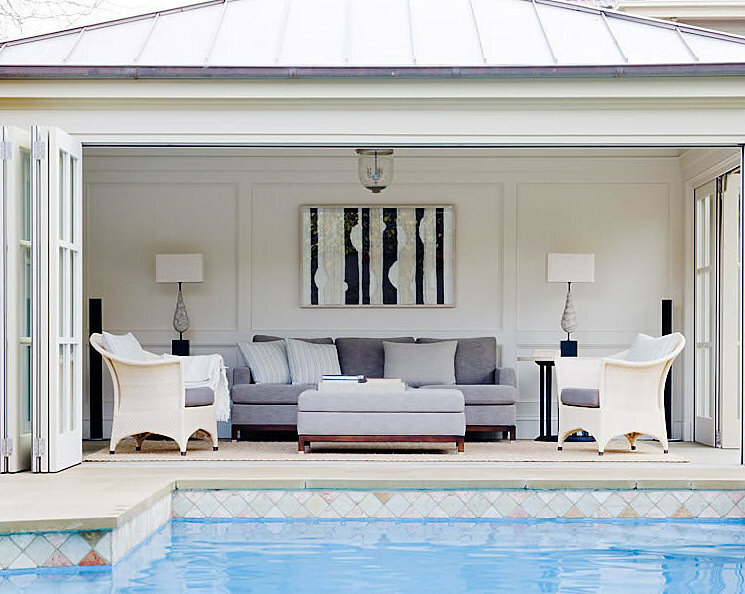 Who needs a summer home with lovely pool rooms like these. We certainly could be using a pool like this on such a hot Sunday in Ontario Canada. Just beautiful. Oh I love all of these photos! Yes, twist my arm, I would love to live with any of these lovely spaces. 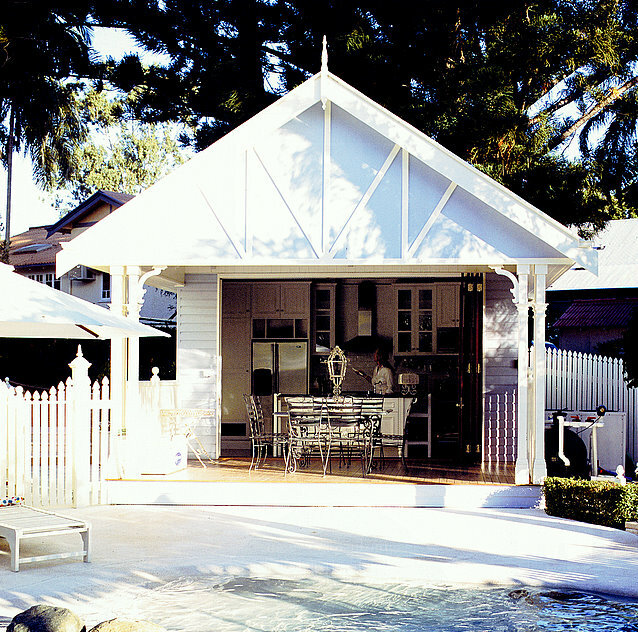 There is just something so wonderful a pool house... Glorious Leigh! I love all of these photos!